Minneapolis is one step closer to creating municipal IDs for undocumented immigrants. A council committee voted unanimously Monday to move ahead with the program that could give people easier access to housing, banking and health care. Jovita Morales believes the program will help her. She has lived in Minnesota for over 20 years, but she doesn't have state-issued identification. She uses her passport or consular ID when necessary. She still can't do things like easily cash her paychecks. "I couldn't open a bank account without an ID," Morales said. 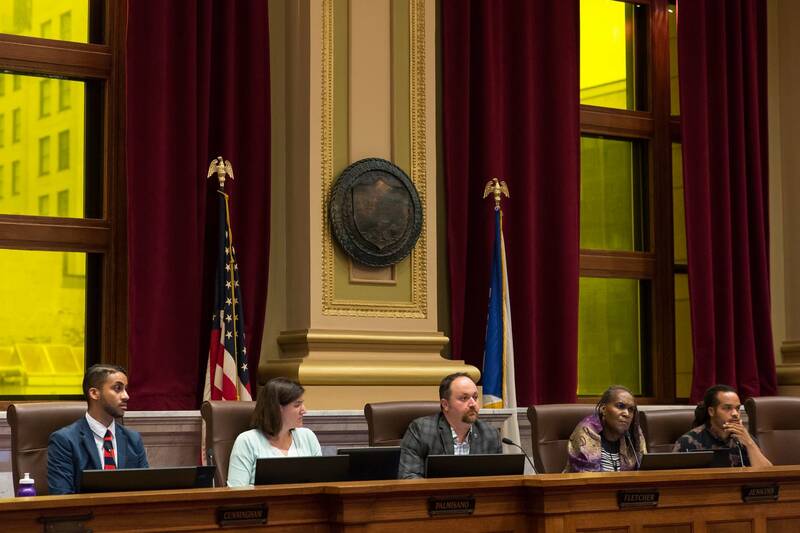 Morales told a Minneapolis city council committee she would avoid calling the police for help, and she had a hard time securing places to live. "I've been challenged to rent apartments," she said. "Every time when I wanted to rent an apartment, they ask for a Social Security number or they ask you all the time for a state ID." Several people spoke to the city council committee a the public hearing in favor of the proposed municipal ID program. No one spoke against it. City staff have been working on the proposal for more than a year. Others at the hearing said the ID would help them pick up children from school without any trouble, as well as offer a host of other benefits they don't currently have. Uriel Pérez-Espinoza is vice president of the union UNITE HERE, with 5,000 members who work in restaurants, hotels and sports venues. "Our members are proud to have free health insurance paid for by the employer," Pérez-Espinoza said. "But they cannot book an appointment with a doctor. Why? They don't have an ID. They cannot pick up their prescription." To apply for a municipal ID, residents would need another form of identification like a passport or consular ID and proof of residency in Minneapolis. The ID could be used as a transit card and a library card. It also would be recognized by the Minneapolis Police Department. But the ID cannot be used to vote or give permission to drive. Daniel Romero, a community advocate with the First Congregational Church of Minnesota, cautioned the city council committee about creating a program that could do the opposite of helping undocumented immigrants. "It's important for everyone to understand that passing an ordinance to create municipal ID does not put anybody's individual private data at risk," Romero said. Minneapolis follows cities like Chicago, New York and San Francisco that have municipal IDs. Northfield was the first city in Minnesota to create a municipal ID program last year. If approved by the full council, the city plans to dedicate $200,000 for a program manager to start, as well as search for vendors to create the technology that would manage the database.